The air-conditioned hotel welcomes leisure and business guests in a unique Art Deco building with an avant-garde trend in decoration. This modern hotel offers 110 rooms, of which 56 are Junior Suites, 6 Executive Suites, 4 Luxury Suites, 38 Superior Rooms and 6 Corner Superior Rooms. Guests are welcomed in a lobby with 24-hour reception and check-out services, a hotel safe, currency exchange facilities and lift access. 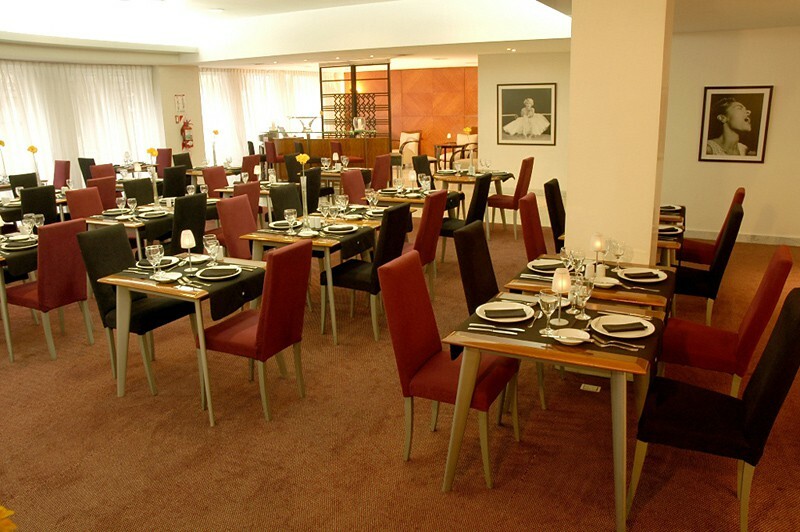 Facilities include room service (fees apply), a laundry and dry cleaning service (fees apply), a garage, a cafe, bar and restaurant, the Marilyn Monroe meeting room and Humphrey Bogart meeting room and WLAN Internet access (fees apply). 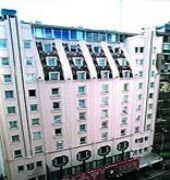 Medical assistance is also available for emergencies.The hotel offers rooms with wide double-glazed windows, a digital flat CD player and an LCD TV with cable channels, natural wooden floors and designer wooden furniture, a direct dial telephone with voicemail and individually regulated air conditioning and heating. Each room additionally features an en suite marble bathroom with a shower, bathtub and hairdryer, a double or king-size bed, a radio, high-speed Internet access, digital safe and a kitchenette with a minibar and microwave. 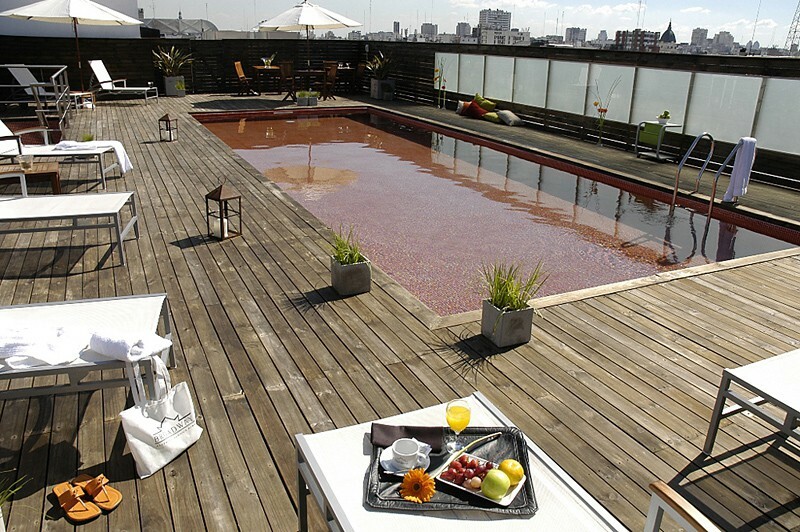 Guests may also relax on their private terrace.The city hotel is located right at the heart of Buenos Aires' cultural and entertainment district, on Corrientes Avenue, and also next to the financial district. Retiro bus and train station is approximately a 10-minute drive from the hotel and the nearest metro station is just 5 minutes' walk away. The famous Obelisk is just 25 m away and Calle Florida with its many shops is a 10-minute walk from the hotel. 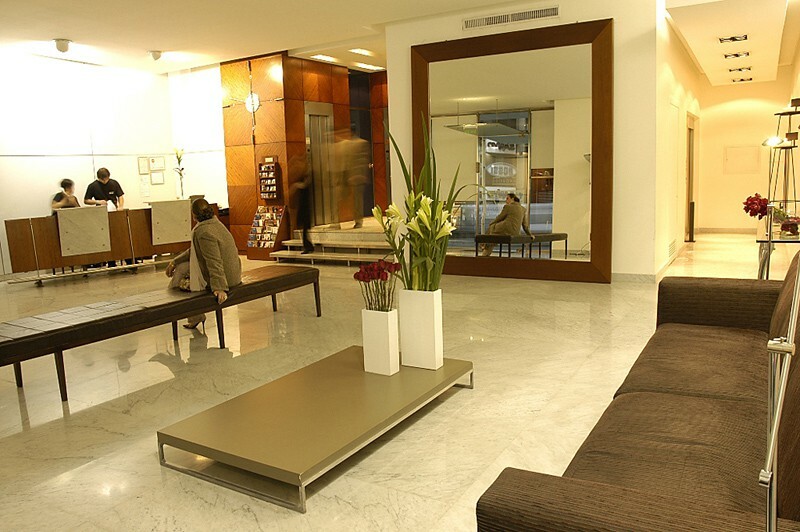 The design hotel is 15 km, or 10 minutes, from the Jorge Newbery domestic airport, and from the La Boca and Recoleta neighbourhoods, and just 5 minutes from Puerto Madero and May Square.